Famous watercolour artist specialising in genre and portraits. 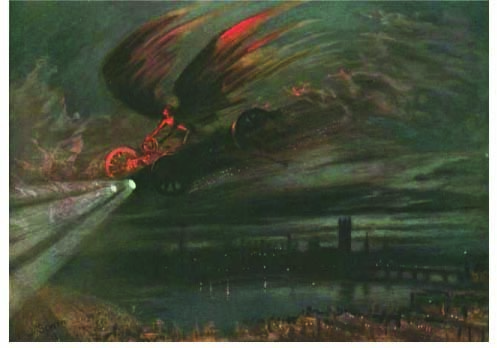 Not really a motoring artist, however he did provide the illustrations for the well known and prophetic early motoring book THE DEVIL’S MOTOR by Marie Corelli published in 1910. This is a fantasy about the devil descending to earth in a fiery car to cause chaos on earth.